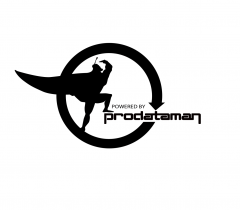 If you are reading this post you have of course heard the term DataBase… Depending who you are and what you do for a living that term may or may not mean anything to you. If you are a DBA (DataBase Administrator) look away! This post is not for you. lol This post is intended for those who have no idea what a database is or what Microsoft SQL Server is or why they should care. OK so now that we’ve got that out of the way on with the definition. 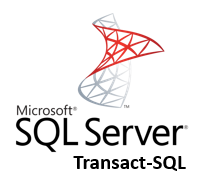 SQL Server is Microsoft’s RDBMS (Relational DataBase Management System). Like its competitor Oracle, Microsoft’s SQL Server is the database applications that a website or other application might use to store its list of Customers, Orders, Products and Employees. If you have booked a flight reservation on line (or by phone) or you have a Costco or Netflix member ship then you have no doubt been exposed to a database and perhaps even had your purchasing habits stored in the database and used to market products to you that the vendor knows you want. Put simply Microsoft SQL Server is a DataBase product used to store the data collected and used by a variety of computer software applications. It is a giant electronic file cabinet for your computer based data. When doing a large update of a table in a SQL Server database you may gain some performance by locking at the Table level instead of allowing SQL Server to do Page or Row level locking. This can be accomplished using Table Hints. Table hints override the query optimizer default plan for the executed query. Table hints apply to data manipulation language (DML) statements such as Select, Insert, Update and Delete. Table hints should be specified in the FROM clause. Table hints allow the user to choose a specific locking method, indexes to use, or other options for DML statements. It should be noted however that you are second guessing the query optimizer and if conditions change in the database that might make the query work better SQL Server may still use your less efficient table hint. If you use Optimizer Hints AKA Table Hints make sure to document any scripts or procedures that use table hints so they can be reviewed when changes to the database schema are made that might affect the Table Hint. This is an error that you get when you try to view the built-in reports in SQL Server 2008 when the database compatibility is set to anything less than 2005(90). On the options tab change the compatibility level to SQL 2005 or later. Author Antoine VictorPosted on September 13, 2011 May 20, 2018 Categories SQL ServerLeave a comment on Index (zero based) must be greater than or equal to zero and less than the size of the argument list.